ALWAYS BE EXCELLENT, EVEN IF YOU THINK NO ONE IS WATCHING. 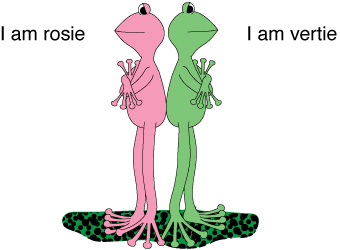 We are two cool frogs spreading the word…. Being excellent brings respect and continued success in this fast changing world. Without EXCELLENCE respect is lost, successes falter and failure quickly ensues. There is a social dynamic we feel is endangering EXCELLENCE and it is aggressively gaining traction. We refer to this as STUPIDSELFISHNESS. Our goal is to flip this pervasive attitude to one of thoughtful consideration for others. When we encounter STUPIDSELFISHNESS, our code word of recognition between us is MOUNTAINTOP! We often discuss venturing to our own personal mountaintop where we can disconnect from reality to an environment free of the stressful situations we all encounter everyday. Living amongst disconnected people that have an “IT’S ALL ABOUT ME!” attitude has been a gradual evolution, but this disconcerting human inclination is pervasive and at times frightening and definitely hazardous to our well being. We encourage all to make EXCELLENCE a lifestyle!